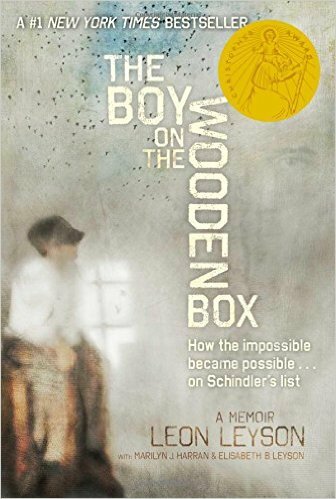 A story of bravery and fight life, this book, the only memoir issued by a former Schindler’s list child, perfectly catches the innocence of a kid who faces the unimaginable. Leon Leyson (Leib Lezjon) was only ten when the Nazis took over Poland and pushed many families to relocate to the ghetto in Krakow. Luckily enough and with grit, and perseverance, Leyson survived Nazis’ cruel treatment, mainly by insane Amon Goeth, commander the Krakowian concentration camp. Finally, the generosity and cunning of Oskar Schindler saved Leon Leyson and his family by adding their names to the list of workers in his factory; The list that later became world notable as the Schindler’s List. 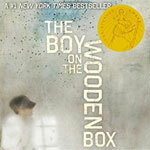 Related with great dignity and an extraordinary lack of bitterness and venom, The Boy on the Wooden Box is a journal of positive legacy, a bestseller book different from anything you’ve ever seen. Leon Leyson was one of the youngest integrants of Schindler’s List. He draws a particular viewpoint to the annals of the Holocaust and a strong message of humanity and courage. He rarely talked about his participation in the horror, until the movie Schindler’s List received global recognition. A product of Los Angeles City College and Pepperdine University, after teaching for thirty-nine years and witnessing the Holocaust, Mr. Leyson was granted an honorific doctorate in humanities from Chapman University. Dr. Marilyn J. Harran, the author of The Holocaust Chronicle: A History in Words and Pictures, carries the Stern Chair in Holocaust Education at Chapman University. Moreover, she is a member of the board of the Association of Holocaust Organizations, the founder, and director of the Rodgers Center for Holocaust Education, and recipient of the Spirit of Anne Frank Award. She lives in Orange, California. This book is a touching and disturbing account that lets the reader have a deep look at the intense heartache of a Jewish family in WWII. The work is a detailed account of a family's survival of the Holocaust, accurate enough to move the reader, yet not so dark as to terrify kids. This book is suitable for any middle schooler that could be shared with parents for discussion on the matter. While riveting, the story is told in the voice Leon Leyson depicts his family's struggle to survive the inhuman conditions, repeated disappointments, and loss of loved ones. The author ends with a great testimony to hope and healing. Leon's duty in the U.S. military and following successful life together with family and friends in the US is a praise to his optimism and mental strength.